Women’s health conditions are the largest group of presentations most natural health clinicians see. Fortunately, these patients are highly amenable to natural care and we can frequently achieve quick, brilliant results, when we get the strategy right. The results often significantly improve quality of life in women. 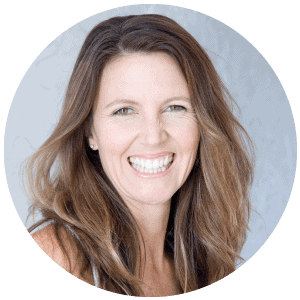 The Natural Women’s Health Masterclass 2015 features the most highly regarded names in natural women’s health, who will be giving you their clinical secrets that they have obtained after their many years of specialised experience. You will receive clear, research-backed treatment protocols and strategies that have been proven in thousands of patients. The research on natural medicine, especially women’s heath topics is progressing incredibly quickly. Your presenting team are at the forefront of their fields and you can be assured you will hear the latest on each of the topics covered in this Masterclass. Women’s health is the foundation of many clinicians practice. Getting great results in these areas often generates tremendous referrals. The terrific improvements in the lives of women burdened with these conditions can be a great boost to you clinic. Competence in Women’s Health conditions is a foundation skill we need to ensure we have at our disposal and keep right up to date on. Hormones are susceptible to many influences so we will address the principle causes of hormonal disruption to ensure you get to the heart of the problem. Note: Receive a two-part bonus session by Dr Tori Hudson with the purchase of this event. These sessions are a comprehensive discussion on the latest research backed natural treatment of menopause. Effective strategies to care for the most common health presentations is a foundation skill in natural of medicine. There is considerable ongoing research on these topics supporting and encouraging quality natural care. Your exclusive invitation to the Health Masters Live Alumni Group. Review the female hormonal system with relevance to the pathologies being discussed within the program. Finding a lump – what next? Evidence based nutrient and botanical supplements that have been researched for perimenopause symptoms. Evidence based nutrient and botanical supplements for additional menopause symptoms, as well as treatment protocols for select clinical scenarios. 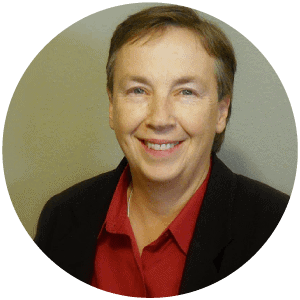 Dr Tori Hudson ND graduated from the National College of Naturopathic Medicine in 1984 where she has since served in many capacities: Professor, Medical Director, Associate Academic Dean, and Interim Academic Dean. She was the first Woman in the United States to become a full professor of Naturopathic Medicine. She has been Clinical Professor at National College of Natural Medicine, Portland; Bastyr University; and the Southwest College of Naturopathic Medicine. In 1990, she was awarded the American Association of Naturopathic Physician’s President’s Award for her research in the field of women’s health care and 1999, Naturopathic Physician of the Year. She is in private practice and is the medical director at A Woman’s Time Health Clinic in Portland, Oregon. Dr. Hudson is a national lecturer, contributor to many magazines, books, author, educator and researcher. She has published several books including: Women’s Encyclopedia of Natural Medicine; 2nd Edition, McGraw Hill, 2008; Women’s Health Update, volume I, II, III, TK Publications; Gynecology and Naturopathic Medicine, A Treatment Manual; 4th Edition, Beaverton, OR TK Publications 1995; and was a contributor to the Text of Natural Medicine, Third Edition; Churchill Livingston, 2005. Dr. Hudson also appears on many local and network radio and TV programs including appearances on “Good Morning America”, PBS’s “Healthy Living Series”, and Lifetime’s “New Attitudes.” She has 29 years of experience and expertise in women’s health utilizing nutrition, nutraceutics, herbs, natural hormones and other therapies to treat all gynecological and primary care conditions. Dr. Hudson is the Program Director for the Institute of Women’s Health and Integrative Medicine. 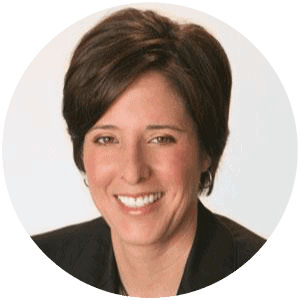 Dr Marianne Marchesse ND graduated from Creighton University in 1990 as an Occupational Therapist and treated neurological and orthopedic patients for over 12 years. In 2002 she graduated from the National College of Naturopathic Medicine and completed a two-year postgraduate residency in Integrative Medicine and Women’s Health, and a six-month post-graduate training in Environmental Medicine. Dr. Marchese utilizes botanical medicine, bio-identical hormones, homeopathy, detoxification, IV therapy, Chelation, microcurrent, diet, exercise, stress management, and lifestyle changes. She focuses on treating women’s hormone imbalances, gynecological issues, cancer, thyroid disorders, fatigue, mood changes, digestive, neurological and immune conditions. Dr. Marchese was named to Phoenix magazines’ 2010 and 2014 Top Doctor Issue as one of the top naturopathic physicians in the Phoenix metropolitan area. She volunteers with Naturopaths Without Borders traveling to Haiti and Mexico to provide free medical care to the underserved. 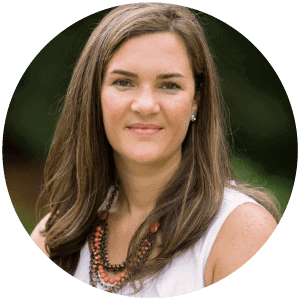 Dr Jaclyn Chasse ND is a naturopathic doctor and the co-founder of Northeast Integrative Medicine. She is a licensed naturopathic doctor who is passionate about applying her clinical knowledge. She is a sought-after writer for both peer-reviewed journals and lay publications and speaker at national and international conferences, presenting on topics in regulatory affairs and integrative clinical practice, specifically in the specialty areas of women’s health, infertility, and pediatrics.She serves on the adjunct faculty at Bastyr University in the field of gynecology and reproductive health. Her clinical practice focuses on these specialties. Melanie Koeman ND is a naturopath & herbalist and has specialised in female and male reproductive issues for the last 20 years. Melanie established Sydney Health & Fertility in response to demands for integrative and alternative treatment options in reproductive medicine. She has a thorough and common sense approach to addressing health challenges, along with a caring and intuitive manner. Melanie has also followed her love of education through researching, writing, lecturing and consulting in a professional capacity for 22 years in the field of nutritional and herbal medicine. As a Doula, Melanie is dedicated to helping women birth in a space of continuous support and encouragement. She lives in Manly with her husband, son and daughter.